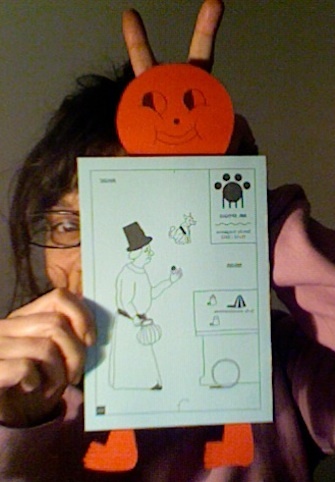 Renate Magazine #22 is out !!!! Renate #22, cover illustration Sandra Rummler. 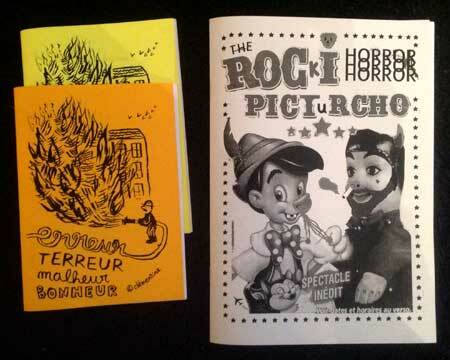 New zines, new stories : "The Rocki Horror Picturcho" (28 pages, b&w, engl./french) + "Erreur Terreur Malheur Bonheur" (24 pages, b&w, french). See more content online here, or buy them with your eyes closed straight online here, or in Renate Comicbookshop Bibliothek, Tucholskystr.32, Berlin-Mitte ! 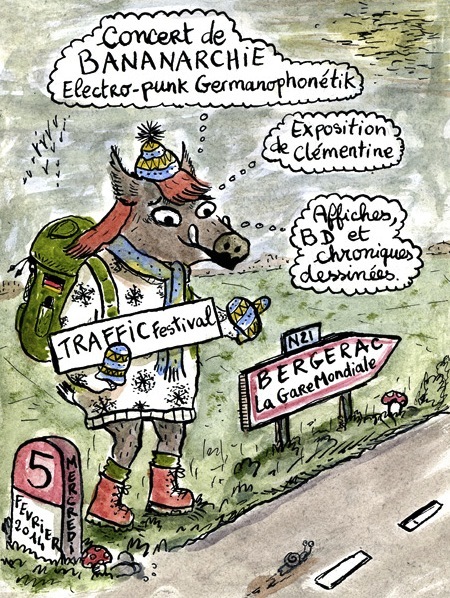 …in Melkior Théatre - La gare mondiale, in Bergerac (Fr), for the european danse/theater/video/performs "Trafik festival" opening, i present original paintings from the "Bananarchie" posters, pages from my comicbook "Rock around the cuckoo clock", and some Berlin chronicles in drawing. 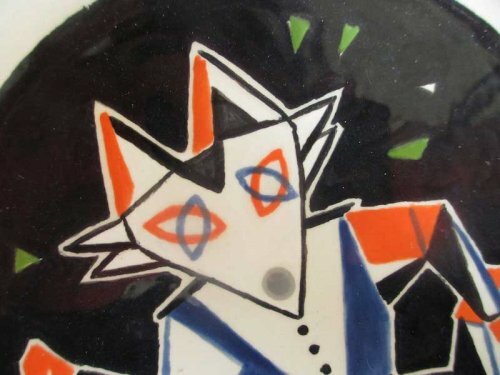 The exhibition and the festival will continue till the 15th of february 2014. 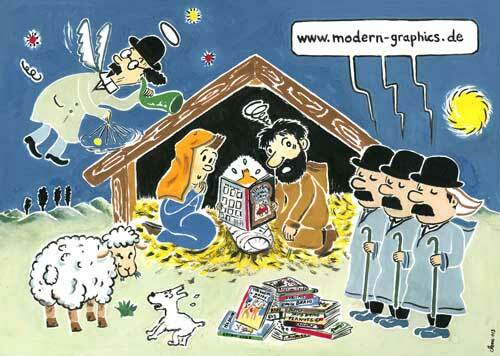 Christmas card for the comicbookshop Modern Graphics, Berlin. 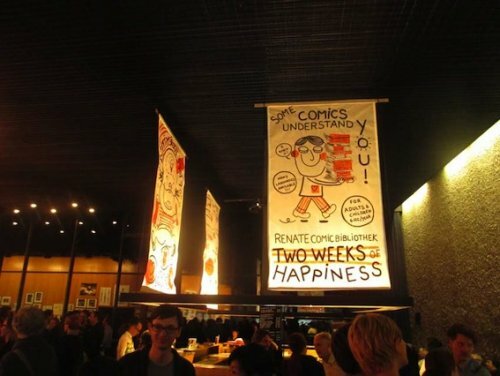 at "Comics from Berlin- Pictures of a city" exhibition / Haus der Berliner Festspiele, September 2013. Thanks to Komikaze for hosting my comic "Rock around the cuckoo clock"(english version, unabridged) in their online-issue #32. "Komikaze"comes from Zagreb, Croatia, and started in 2002. 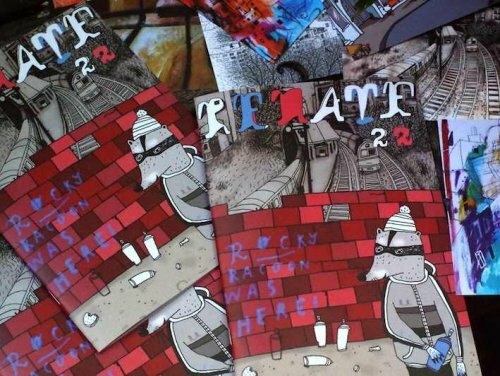 They produce also a comic book-magazine, posters… and gather through their online comic platform the work from local and international comic authors together, so that we’re not alone and a parallel "free" network exists. 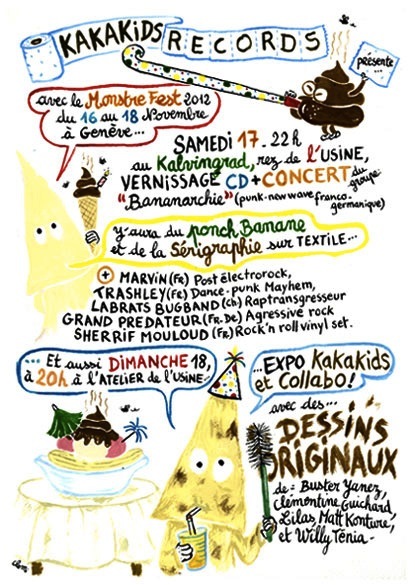 Kalvingrad (Usine)- 17 NOV : Bananarchie concert + Vernissage CD with Kakakids Records. Atelier crache papiers (Usine)- 18 NOV- EXPO KaKaKids et Collabo : Exhibition with original paintings of Bananarchie posters, and with drawings from Willy Ténia, Buster Yanez, Lilas and Matt Konture.